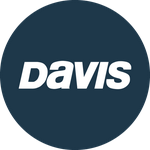 Davis Instruments Support, FAQs and Troubleshooting - Can you attach a device such as a dodger or flashers behind the Fish Seeker? All Categories ​>​ FAQ ​>​ Marine ​>​ Can you attach a device such as a dodger or flashers behind the Fish Seeker? Can you attach a device such as a dodger or flashers behind the Fish Seeker? You do not want anything on the line that wobbles or has a lot of drag. A lot of drag will make the Fish Seeker flip over as if a fish were on the line. Where can I find a detailed technical comparison of a Vantage Pro2 and Vantage Vue? Can I troll faster than 2 MPH when using the Fish Seeker?